You all know I love painting my nails. With that being said, I was super excited when my favorite nail polish came out with a Gel top coat. If I could have a gel mani every other week I totally would, but financially that's silly and now I can do it by myself! Essie has the new "gel setter;" this sets your polish like a regular gel mani would and leaves your nails chip-free longer than their regular top coat. The best part is you can use the Gel Setter with any of their polishes. 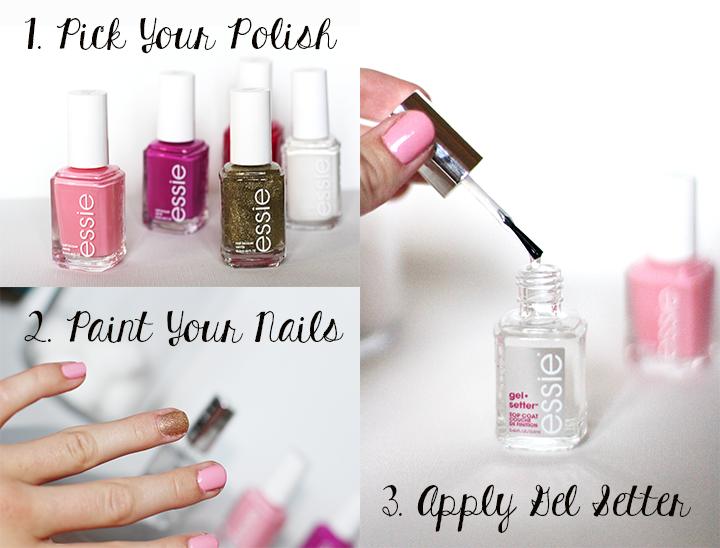 This gel mani is really simple…it only takes three steps. 1 // Choose your nail color/s! 2 // Paint your nails however you'd like. 3 // Apply gel-setter! I was actually really surprised at the short amount of time it took for my nails to dry. With the normal top coat I use, my nails are "sticky" for a few hours after. 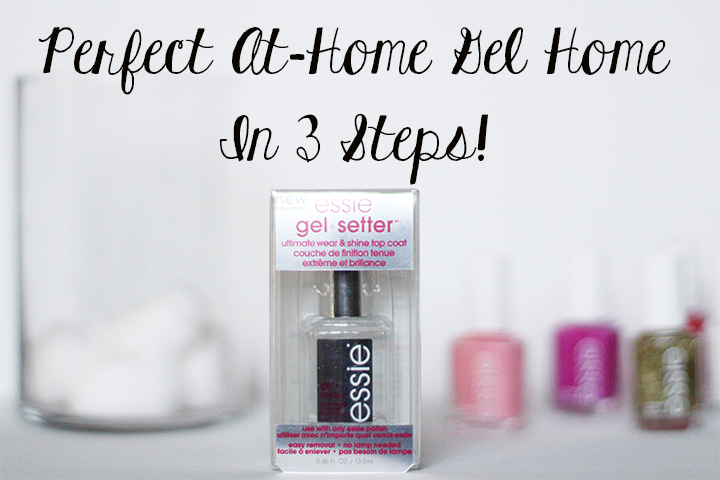 With this gel setter my nails were completely good to go in 20 minutes. I am on day 3 of using this new gel topcoat and so far no chips! I will keep you posted to see how long it lasts but I can tell you already that I love it! 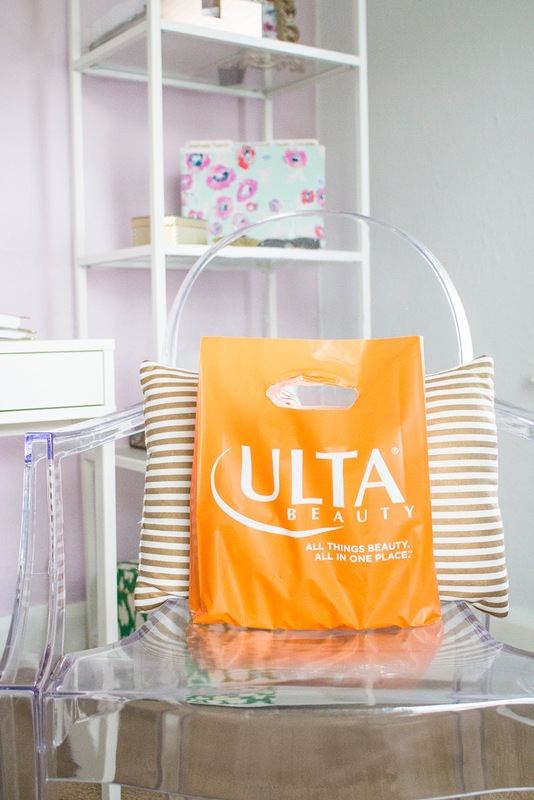 Is there a gel-mani set that you use? Have you had a gel manicure before? What do you think!? Is it still holding up as well? Yep! On day 4 and it looks great, no touch-ups needed yet.